Not a progressive rock fan? No problem. 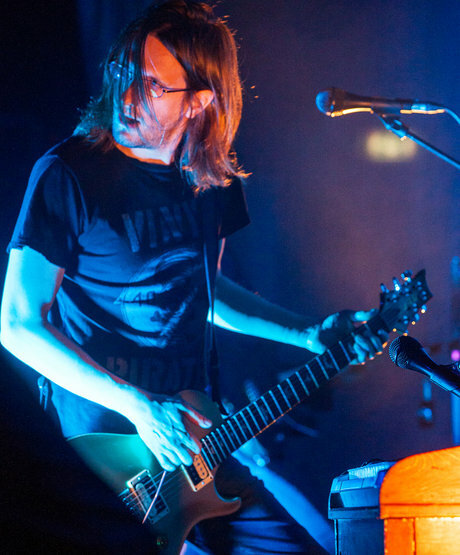 I still urge you to check out Steven Wilson’s (Porcupine Tree, Blackfield, etc.) 2012 solo concert in Mexico. It pulsates and pounds with urgency, as Wilson practically exorcises his demons onstage backed by top-tier musicians such as saxophonist Theo Travis and human octopus Marco Minneman on drums. It’s all a bit dark and portentous, but hell if it ain’t exciting. And thanks to Antonio “McCoy” Ortiz for turning me on to Wilson’s music. Damn you!